With an exercise test your current form, trainings zones, percentage of body fat and your ideal weight will be determined. The exercise test by WebTrainer is obviously also available for athletes who do not have a WebTrainer subscription. With an exercise test your current form will be determined. So we can make an assessment of your capabilities en we can eventually after a period of guidance conclude in which way the training sessions were responsible for a progress in form. At last, the training sessions can be adjusted on base of the results of the exercise test. 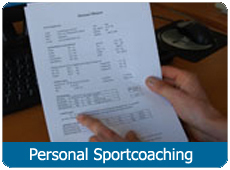 For all athletes who wants to determine precisely their training zones and their ideal weight. With an exercise test your current form will be determined. So we can make an assessment of your capabilities en we can eventually after a period of guidance conclude in which way the training sessions were responsible for a progress in form. At last, the training sessions can be adjusted on base of the results of the exercise test. Determination of the training zones recuperation, D1, D2, D3 and resistance. Determination of the performance ability (power output at MLSS, lactate threshold and maximal power output). Comparison of your scores with scores of athletes from recreation- till world class levels. Bepaling van de lichaamssamenstelling, percentage vet, lean body mass, ideaalgewicht, body mass index. Comparison with respect to common norms for body composition. During the whole test the ventilation frequency and heart rate frequency will be measured. 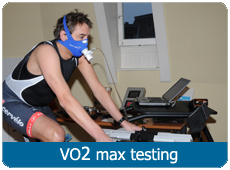 The exercise test will be performed on a calibrated cycle ergometer with scientific accuracy. After the test you can take a shower and the test will be worked out. The report of the exercise test will be discussed with you. The report is for you. The duration of the test will be about one hour. On request there is for competitive cyclists an exercise test available which is developed by the guidance staff of Rabobank Cycling Teams. At the moment this exercise protocol is applied to the cyclists of the professional Garmin cycling team and the SWABO cycling team. You can get a comparison with these group of athletes Costs for this test are € 145,00. In total the test takes, including the preparation, execution, report of the test and discussion of the test with the athlete about 2:00 hours. To make an appointment for an exercise test or for a bicycle positioning, you can call (during office hours) +31 70 346 1234. You can obviously also send an e-mail to info@webtrainer.com. The exercise tests will be executed at the practise in Zoeterwoude, Weipoortseweg 94 2381NJ Zoeterwoude. Do not train at the day of the test. The day before the test only train extensive. 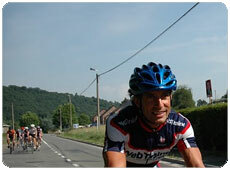 Prepare as if you participate at an important race, so appear good rested at the start. Do you have another pedal system? Take your own pedals with you. Please discuss this via e-mail or telephone.